Personally I’m worried about how those gaskets look. OMG - an actual update!!!! So if I am reading between the lines of the email is it safe to assume that if you're NOT in the first shipment wave then you won't get your kit until after Celebration? Chinese New Year starts on Monday and they mentioned a 2 month delay because of it. I thought the same thing, sounds like a few might go out but the majority will be after the two month break. Once again they are breaking their shipping time with previously all shipping by Celebration promise. What worries me the most is this comment here, "A two month pause will occur due to Chinese New Year but will resume immediately until all orders have been sent out throughout this year." So I am wondering does that mean we will have them in 2-3 months or just sometime before January 1, 2020? For the most part that looks pretty okay. A quick look shows naff gaskets, TD needs some more black, overlapping shoulder isn't going to fly. No idea if the seams will work or not, look at the forearm for example. Will they need filling? Helmet looks nice like always though. BE fun seeing these come in and what is needed to get them through. ps: Some of the PS cutting out on that looks rather amateur hour too. Chinese new year starts next week, IIRC. So I read that as "we've got a crap ton of these to make and we've barely made a dent. Oh and the factory will close for a week or so for Chinese new year which screws up loads of stuff coming out of china for weeks after that". I don't know what the production is like but I expect this to take months rather than the 4-6ish weeks it took for OT. I did notice they renamed these kits and they are now make no mention of TFA or TLJ. Looks like a mostly TLJ suit from those photos. I'm curious to see if they ship us TFA helmets or TLJ helmets, given that the original pre-order was for a TFA version if they send everyone TLJ helmets that would bother me. Especially if they send out some weird mishmash that needs a ton of work for Centurion. 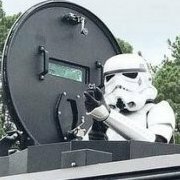 The email states that the armor can be built either for TFA or TLJ. I think contacting ANOVOS about bucket clarification is a solid idea though. Good point, I'll email them and let you all know what they say. Perhaps it has nothing to do with Chinese New Year. I heard rumors that these are being made in Vietnam. Vietnam shuts down during the same time for their Lunar New Year (aka Vietnamese New Year). Miss something on that endcap of the TD? Although at this point I have no love for Anovos I will say that we shouldn’t pick apart the model assembly quality. I am sure they slapped this together for pictures and as we all know it’s the assembly and fitting quality that determines approval and qualification level. Chinese New Year usually hits manufacturing a bit hard. Thousands of companies shut down for 1-2 weeks, then flood the shipping market in an attempt to make up for lost time. We just had parts arrive this week at work that failed our Quality Control process, so we'll have to wait until mid March to get those parts remade and shipped. So the seams will have to be filled and painted just like all the other armor joints that aren’t supposed to be visible just like all other kits? I hope nobody assumed this would just be slap together with no fillers and painting and get immediate approval. That’s an unrealistic assumption no matter what Anovos claims. Are you talking about directly over the shoulders where the back and front look like they overlap? 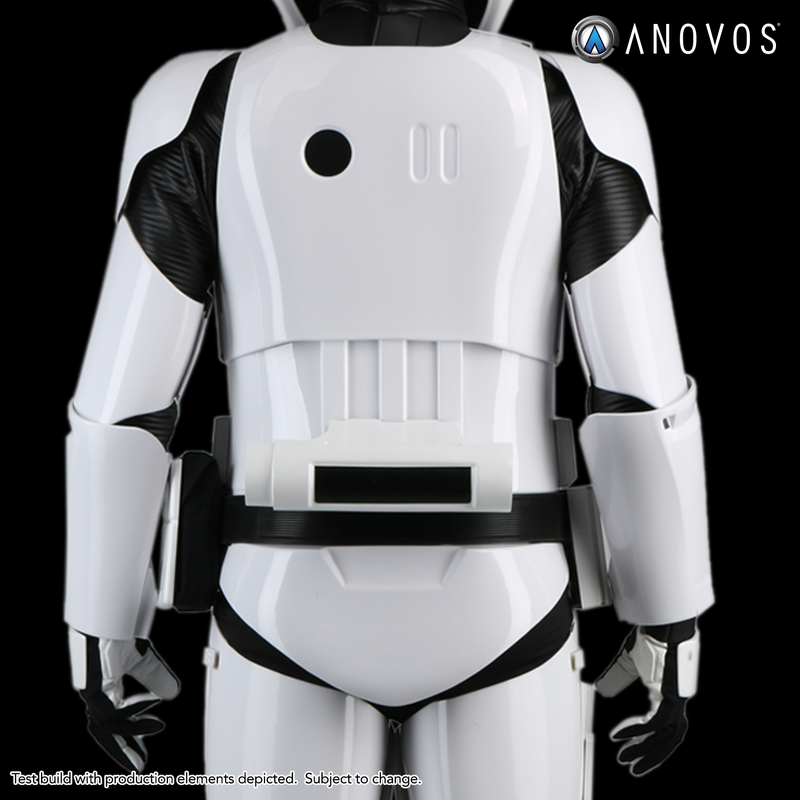 Anovos claimed no painting would be required but would go no further in answering how that was achieved with regards to the yoke and back as the Anovos alpha kits needed joining, filling and painting. "The kits come white and should not need painting to make them white. They will still need cutting and gluing as per the instructions"
No matter how many times I asked and worded it differently they would not say how they managed to do away with the joining. So it's not an actual lie it's just not saying that these pieces will be separate and have a join/seam/overlap. Ok, now I understand. Looks like we’ll have to get creative to loose the seam. I’m sure Anovos isn’t concerned with us meeting the CRL requirements. I think they would have been better leaving it like the Alpha kits. This new overlap seam looks like a real cracking point and harder to fill. Probably will need to reinforce the inside and fill the seam at a minimum. Problem with the Alpha kits (or in my case a Beta/Charlie) is once you have joined the yoke to the back it is rock solid, the yoke section over the arms will only move so much to let you get arms in, I swap from arm to arm at times to equal out the stress, you can get one in but you really have to open the yoke to allow the other to slide in. I do have cracks on the sides even with support sections behind, it's a real pain to keep touching up. I've got an image around somewhere of someone who was thought to be trying on one of their updated kits a long time ago and it does have this separation, almost looks like a hinge. Here is, not as concealed as the photo below this one. And here, but this one is showing a long front yoke? Almost closed no cover chest plate on yet, can just make out the hinge section. 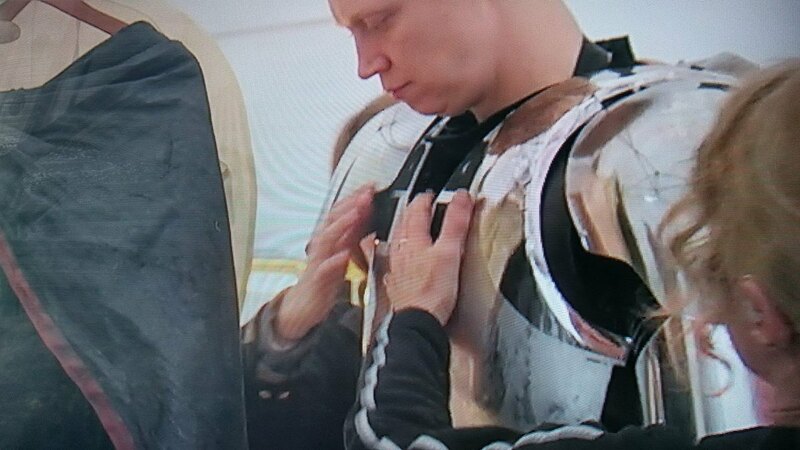 Longer inner yoke can be seen behind the chest plate, but as I say I've not seen a hinge on the tops before. The back plate contains a "O II" design where the O is black. The back/yoke is one seamless piece. The yoke portion extends over the wearer's shoulders and curves under the armpits. With a seam, joint or hinge it wouldn’t be, “one seamless piece”. Apologies if this has been stated already but have basic approval guidelines ever changed for armors? Does the CRL base anything on behind the scenes set pics like the ones posted in this thread? Or strictly based on what's on screen? Do the KB or Jimmi kits have seamless back/yoke?